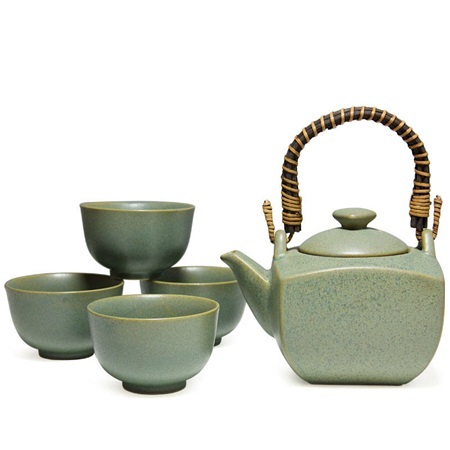 The beautiful matte finish on this tea set is reminiscent of snowflakes and crystals freezing under a thin layer of ice. This set includes one 18 oz. pot and four cups in a black gift box. Bamboo handle must be attached. Stainless Steel tea strainer included. Pot: 5.75" x 4.25" x 4.5"h; 22 oz. capacity. Cup: 3.5" diameter x 2.25"h; 4.5 oz. capacity.